My friend Bionuva wanted me to draw my old character Belka, the naga monkey. So I did and wanted to see what she looks like in my new style today from the old style. She have the power of fire and even can swim in lava. 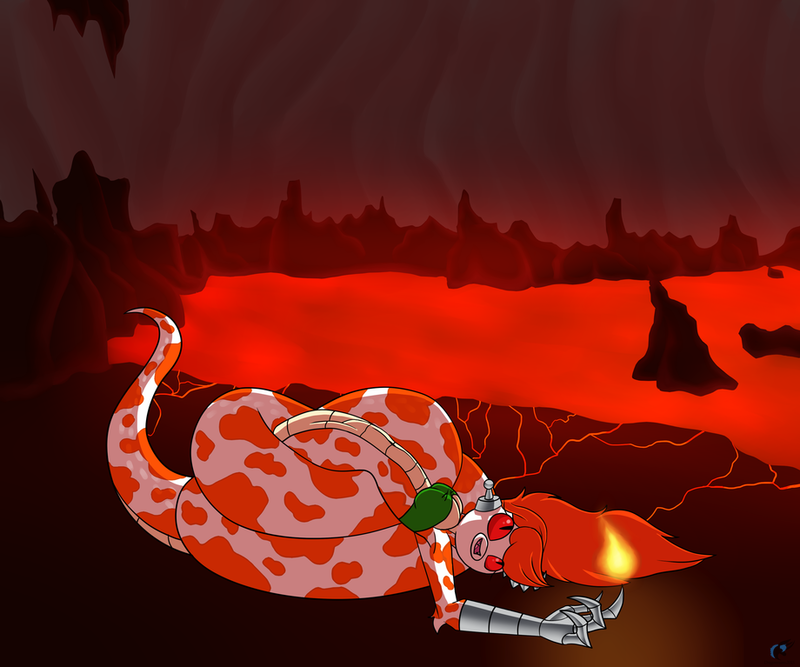 Plus this is my first time drawing lava and cave. So bear with me.